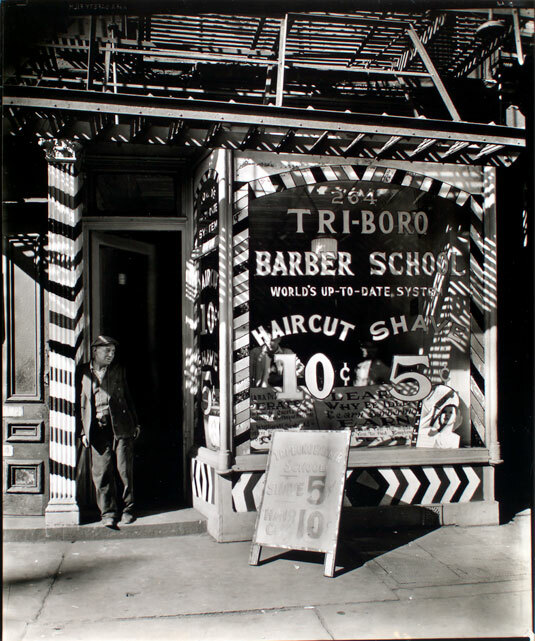 Tri-boro Barber School, 264 Bowery, Manhattan, 1935-1939, by Berenice Abbott (1898-1991). Photograph; gelatin silver print, matte. The Miriam and Ira D. Wallach Division of Art, Prints and Photographs: Photography Collection, The New York Public Library. New York Public Library Digital Collections. It’s encouraging to see libraries and museums beginning to make public domain images freely available, increasingly providing high-resolution scans or photos for downloading. Historically, they have guarded images of objects in their collections as a private source of income. Count the New York Public Library among the honorable elite who have made their pd images available to be shared. The library has just put up more than 180,000 images in hi-res free for the downloading. Highlights of the collection include photographs from the Farm Security Administration and Works Progress Administration, Medieval and Renaissance manuscripts, Walt Whitman papers (1854–1892), and early film shorts. Car and homemade trailer on U.S. 101 near King City, California. Man and wife middle-aged, from Wisconsin. 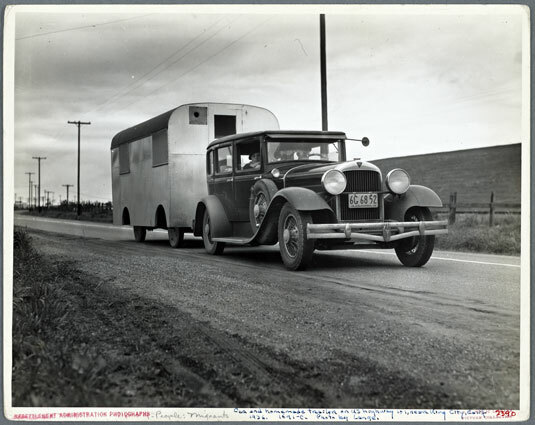 “Old Man Depression sent us out on the road … You don’t know anything about how many people are living in trailers till you ‘hit’ Florida, 1936, by Dorothea Lange (1895-1965). Photograph. The Miriam and Ira D. Wallach Division of Art, Prints and Photographs: Photography Collection, The New York Public Library. The New York Public Library Digital Collections. Today is Monday, April 22, 2019 4:12 am (U.S. central time).